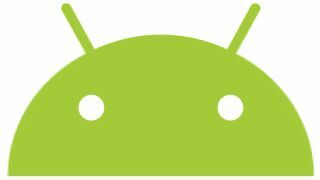 You want free apps for your Android phone? Step right up! My Possible Self aims to improve your mental health and reduce the symptoms of stress, anxiety and low moods in as little as eight weeks. We haven’t yet used it for that long, but based on around a week of use it seems like it could make a real difference. It includes 10 modules dedicated to improving different aspects of mental health. Each module has a number of fairly substantial ‘sessions’, made up of tips, examples and exercises to help you, say, manage stress or build happiness and wellbeing. On top of that, My Possible Self also includes a mood tracker, letting you fill in how you feel every day and see a graph of your moods over time. Plus you can add ‘moments’, which are a snapshot of how you feel at any given moment, made up of text and optionally a photo. There are other apps like My Possible Self, but this seems richer in resources than most. Having said that, it’s only currently available in the UK, and many of the modules are hidden behind a paywall of £5.99 (about $8) per month or £59.99 (about $80) per year. It’s not cheap, then, but also no more expensive than many meditation apps that are similarly focused on your wellbeing. Your Android device likely has all sorts of shortcuts on its notifications screen and you can probably customize which ones are displayed, but what you probably can’t do is add shortcuts to apps. App Tiles adds that option, letting you create up to six shortcuts to apps of your choice, meaning whatever screen you’re on you’ll always be able to swipe down to display your shortcuts, tap on the relevant app and be taken straight to it. For apps that you use a lot, this could be a real time-saver. App Tiles is easy to set up – it doesn’t require you to change any settings on your phone, just launch it and assign apps. App Tiles does have adverts, but you’ll only have to put up with them when you’re setting it up. Once the shortcuts are in place you never have to launch the App Tiles app itself again.